Fact #1: Princesse de Lamballe was a favorite of Marie Antoinette. In fact, because of their close relationship, Marie Antoinette revived a position known as Superintendent of the Household. One of the benefits of this position was the Princesse could determine who had access to the Queen. Princesse de Lamballe. Courtesy of Bibliothèque nationale de France. Fact #2: Freemasonry was one way the Princesse spent her free time. If you are interested in learning more about free masonry in France in the 1700s, click here. Fact #3: The Princesse once held a fête for Gustav III of Sweden and the culmination of the event was the lift off of a balloon, a rare thing at the time. Fact #4: The Princesse enjoyed playing the harp, and her harp is shown below. Fact #5: One of the Princesse’s favorite things to read was Italian poetry. If you are interested in learning about other things she read, click here. Fact #6: Marie Antoinette thought that one her favorites, Yolande de Polastron, better known as Madame de Polignac, would become best friends with the Princesse de Lamballe. However, in the end, neither woman cared for the other. Fact #7: Although not much of card player herself, the Princesse hosted outstanding card parties that were so well attended women often had to change their clothes afterwards because their laps were blackened by the quantities of coins they received. 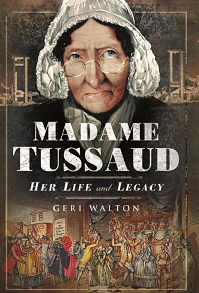 Fact #8: Princesse de Lamballe liked fortune telling and patronized the famous cartomancer Madame Lenormand. Fact #10: Louis XV pursued a relationship with the Princesse, but because she was not interested, he ended up in a romantic relationship with Madame du Barry. Fact #11: The Duke of Penthièvre was the Princesse’s father-in-law and the richest man in France at the time. When she married the Duke’s son, the Duke gave her so many diamonds and jewels, it was said it would take pages to list them all. Fact #12: The Princesse was extremely fond of children and willingly played with them. One visitor to Versailles noted on 8 January 1787 that she was ill with a bruise on her head. Apparently, she had fallen while romping with her nephew Louis-Charles, who was the son of Louise Marie Adelaïde de Bourbon and Philippe of Orléans (the future Philippe Égalité). Fact #13: Because of the close relationship between the Princesse de Lamballe and Marie Antoinette, there were false rumors in the press that the two women were lesbians and engaged in a sexual affair. Fact #14: The Duke of Penthièvre built the Princesse a wonderful two-room cottage at Rambouillet called Chaumière aux Coquillages (Shell Cottage). Click here to learn more. The Princesse’s Shell Cottage at Rambouillet. © G.L. Walton. Fact #15: A painting of the Princesse completed by French artist Antoine Vestier (1740-1824) was stolen by the Dublin Cahill gang in a famous art heist in 1986. Fortunately, sly detectives recovered it in 1993. If you’re interested in learning more about this heist, click here. Fact #16: A gardener of the 1820s by the name of Auguste Miellez was so inspired by the Princesse, he bred white or near white roses with a strong fragrance that he named Princesse de Lamballe. Fact #18: The Princesse frequently went into her own purse and paid for items for the Queen and the King’s sister, Madame Élisabeth. Moreover, the Princesse was rarely, if ever, reimbursed by the Queen or Madame Élisabeth. Fact #19: The Princesse and her nemesis, Madame de Polignac, were born on the same day, month, and year, 8 September 1749. Fact #20: Princesse de Lamballe loved animals and owned several dogs. In fact, in her will she provided for them after her death. Fact #21: The Princesse’s house that she bought in Passy (which is today an area in Paris) is located on the Avenue De Lamballe. In the mid-1800s, it served as a psychiatric hospital but now functions as the Turkish Embassy. If you are interested in learning more about her home, click here. Avenue de Lamballe. Author’s collection. Fact #23: The Princesse remained a popular figure after her death. In fact, in 1897, when a Devonshire Costume Ball was held, Lady Ampthill posed as the Princesse de Lamballe. Fact #24: When the Princesse returned to France from exile, she brought a spaniel dog named Thisbée as a gift for the Queen. The Queen renamed the dog “Mignon” for cute. Fact #25: The Princesse was prone to fainting and was known to faint over the slightest thing, including the sight of lobsters, someone yawning, or the odor of violets. 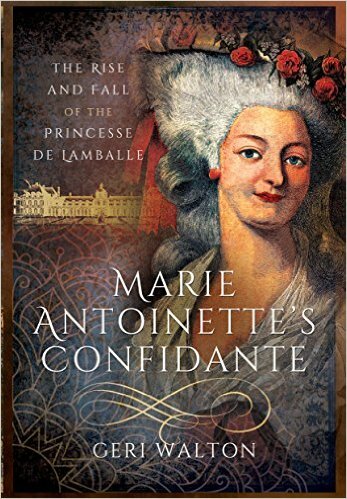 If you are interested in learning more about the Princesse, my book, “Marie Antoinette’s Confidante,” contains more information about her friendship with Marie Antoinette and the French Revolution.